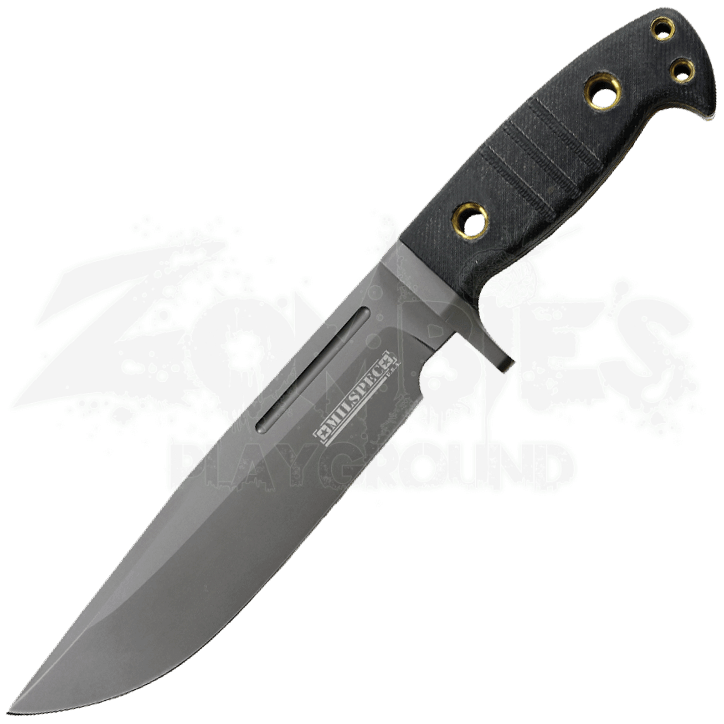 Brave the outdoors and meet the various challenges found along the way with the Tactical Soldiers Knife. 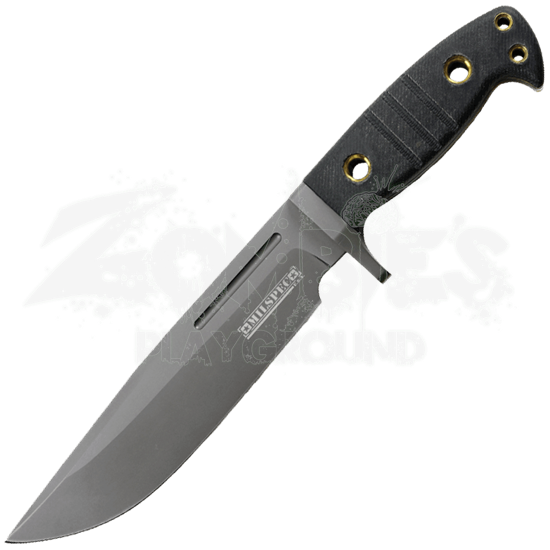 This military style blade offers strength and durability for daily survival and utilitarian tasks, giving you the upper hand. Crafted from stainless steel, the drop point blade provides the cutting power required for multiple projects. A darkened finish covers the blade while two holes with brass eyelets line the black ABS handle. Two small holes appear at the tip, perfect for attachment to a lanyard. A sharpening stone is included to assist in maintaining a sharp blade. Keep the Tactical Soldiers Knife secured to your belt, safely stored in its nylon sheath.